The Industrial Honing Wheel is perfect for manufacturing facilities that need to sharpen scissors quickly without the need for a cosmetic finish. Feature: The Industrial Honing Wheel is perfect for manufacturing facilities that need to sharpen scissors quickly without the need for a cosmetic finish. 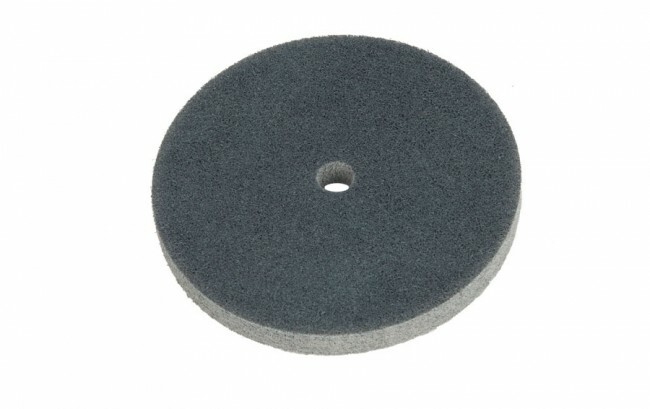 This standard buffing wheel is good for fabric and home use scissors. It is made of compressed fibers that polishes the angle of the scissors and gives a nice cosmetic finish. It is also excellent for polishing burrs off sewing hooks and other items.